Did Gandalf Plan to Rescue Frodo and Sam From Mount Doom? Thanks to some challenging questions from my readers recently I have been thinking a lot about the question of strategy and planning in The Lord of the Rings. And because this blog is in essence an extended reflection on the relationship between spirituality and life with the aid of J.R.R Tolkien I have been thinking about the relationship between the way in which we act in a time of crisis. What is the connection between our plans and our actions at such a time? Do our plans have any meaning when we have gambled all that we have on one slender possibility? At the climax of the battle before the Black Gate, as the armies of the West make their last stand, Gwaihir, Lord of Eagles of the North, arrives with all of his vassals. Their first intention is to engage the Nazgûl but even as the Eagles arrive the Nazgûl flee from the battle answering the desperate call of their master as the Ring stands upon the brink of destruction. 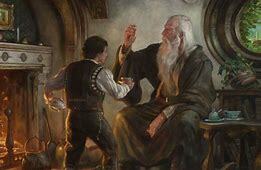 Soon the Ring has gone to the Fire, the realm of Sauron is at an end and Gandalf meets with Gwaihir. And so Gandalf and the Eagles fly to the rescue of Frodo and Sam at Mount Doom. But what plans for Frodo and Sam had Gandalf made before the battle? The answer that I would like to make was that he had made no plans whatsoever. Of course, as soon as the eagles have come and the battle is won, he does all that he can to save them but if there had been no eagles there would have been no rescue. The eagles may have been hoped for but never planned for. Does this reveal Gandalf’s essential heartlessness? Is he a general so fixed upon his goal that he is prepared to spend the lives of any of his men in order to achieve it? Again I would argue, no. It was at the Black Gate some days before that Frodo had given much thought to the question of Gandalf’s intentions. Gollum had just made his suggestion that they try to enter Mordor by his “secret way”. As Frodo pondered this Gandalf was standing upon the steps of Orthanc, speaking with Saruman and yet thinking too of Frodo and Sam. Maybe Frodo felt this, even though he believed that Gandalf was gone for ever, but as he sat in silent thought he tried to recall all that Gandalf had said about the plans for the journey and the way he should enter Mordor. And Frodo concludes his reflections with a remembering of his decision “in his own sitting-room in the far off spring of another year” to take the Ring. This is critical. We are not talking about plans but about choices, decisions and commitments. Gandalf had made no plans for the entry into Mordor or any other part of the journey. The whole quest was a stepping forth into the complete unknown in which all plans were meaningless but all choices and commitments critical. The whole thing is a crazy gamble, a “Fool’s Hope”, as Denethor rightly described it. 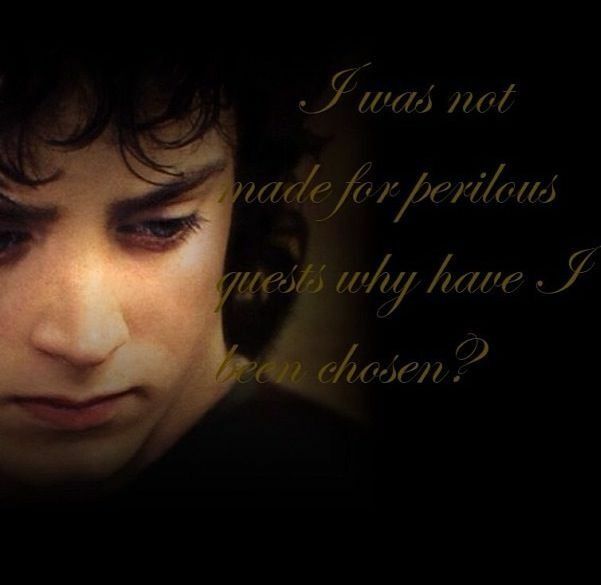 Frodo called it an “evil choice” and he is right too. There are no plans, only a desperate gamble “costing not less than everything”, as T.S Eliot puts it in his Four Quartets. Is Gandalf lucky that the Eagles turn up at the right moment? Of course he is. But it is the kind of luck that can only come to those who are prepared to risk everything for the best good.